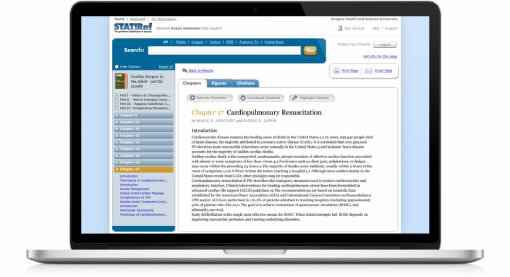 As a resource for nurses, clinicians, specialists and med students, StatRef! wanted the trust its users give it to withstand a competitive marketplace. The leading informational portal for healthcare professionals, turned to Experience Dynamics to help create a legendary search experience. Working closely with the StatRef! to understand the underlying technological constraints, we started with close user collaboration and field studies in Boston and Portland. We gained key insights about user constraints like IT access and monitor size, but more importantly what types of searches clinicians and researchers were doing and how they were using the information. From identifying personas to creating design prototypes we tested with users, we were able to increase ease of use by 120%. 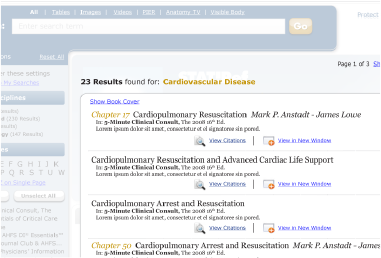 By designing the search interface to align with user goals, StatRef! launched to the enthusiasm and excitement of their user base.